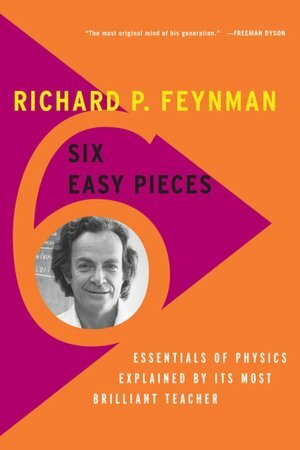 For years, I’ve wanted to read Richard Feynman’s Six Easy Pieces, the beginning of his famous lectures on physics at MIT. It looked like such a great review of the high school science I didn’t pay attention to at the time, and I’d heard so much about what a great teacher Feynman was. Now that I have, I’m disappointed. Feynman’s teaching is good, but hardly legendary. He throws in a few good quips and analogies; clearly, he wants to be accessible, but his presentation still feels typical. Maybe it was more refreshing at the time. But half a century after these lectures were given, I can’t recommend them as the introduction they’re meant to be. In the first chapter, Feynman complains that his illustrations of atomic particles must be restricted to two-dimensional drawings. So I went on YouTube and found the video below, including the series that follows it (in fact, the whole “Best of Science” channel is excellent—there’s a great source for some basic science intros). Feynman also admits that we do not know how to reconcile the disparities between physics at the cosmic and atomic levels. He imagined a future “unified field theory.” I looked that up online and found similar summaries, plus updated information about related, newer things like string theory and Higgs boson particles (you know, like they always talk about on The Big Bang Theory). In another chapter, he tries to connect physics to geology, but he laments that we do not know what creates mountains or earthquakes. I looked up plate tectonics on Wikipedia, and found that it was only being discovered around the time that these lectures were given. The book has the same kind of holes in its picture of biology. I liked the gravity chapter, but understood little of the last chapter, about quantum behavior. It’s probably my fault, but I just couldn’t see why he spent so much time talking about interference experiments. In the gravity chapter, though, I really liked reading that smaller celestial bodies don’t orbit larger ones so much as they orbit each other; the focal point isn’t the center of the larger body, but just outside of it. So the Earth and the moon orbit a point just outside of Earth, but our movement is so small that it just looks like the moon is circling us. But the value of reading Six Easy Pieces wasn’t just in that one tidbit; considering all the great stuff it’s led me to already, I have to say that it was time well spent.